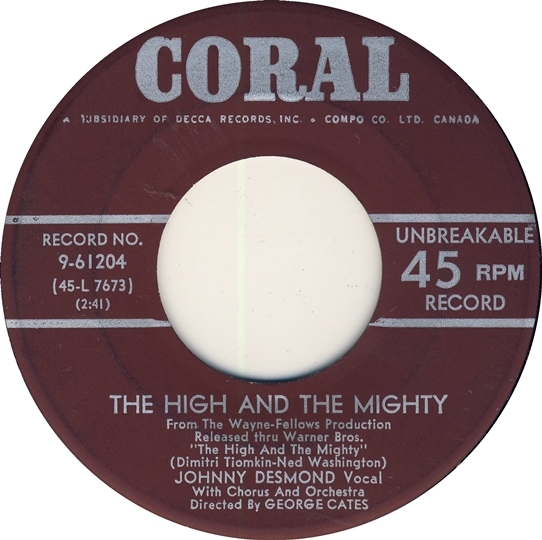 Was thinking about songs that I appreciated over the years – namely instrumentals and got to thinking about those classics that also had lyrics applied – My wife made a comment that she thought “The High and the Mighty” was an inspirational song but better left without lyrics. I was thinking that probably most often a lyricist came along after the fact on many of these and added the words. Not always so – In fact many had lyrics right from the get go. 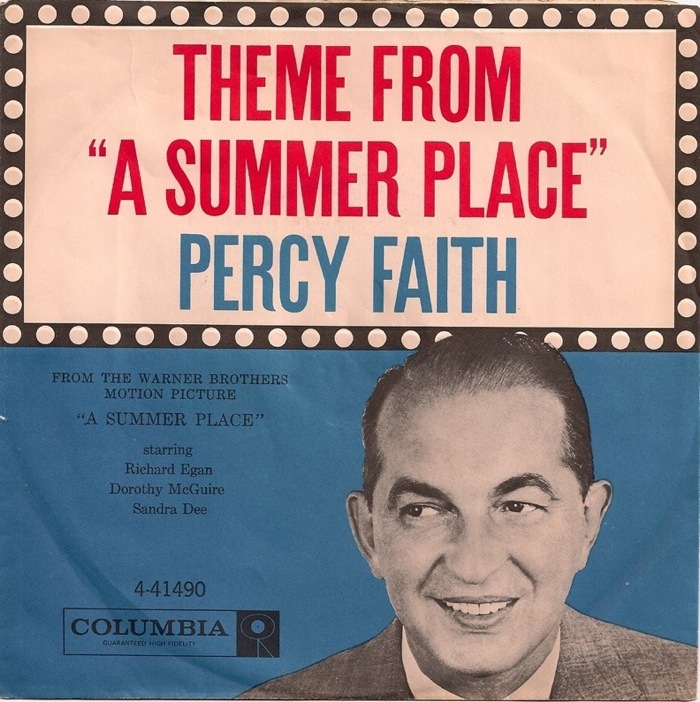 “Theme From a Summer Place” was a hugely popular song back in 1960 when it was featured in the motion picture of the same name starring Troy Donohue and Sandra Dee two teen icons of the time period. 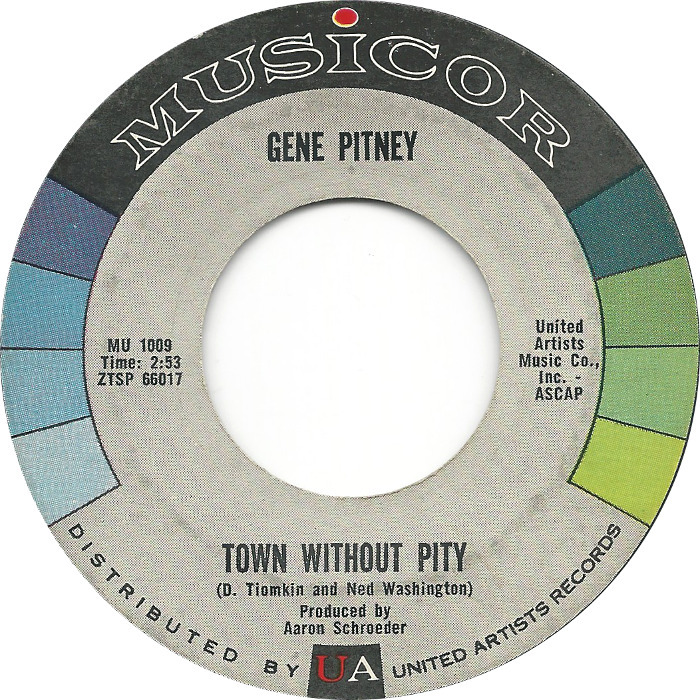 The song hit the number one spot and remained there for Percy Faith for a full nine weeks – securing it a Grammy that year as “Record of the Year”. 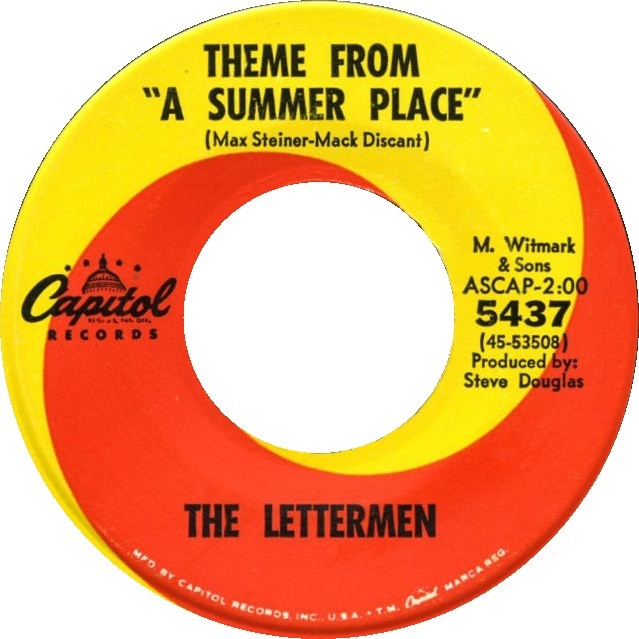 Later in 1965 The Lettermen released a vocal version which managed a number 16 spot – delivered with the crooning falsetto typical of that group but not living up to “Where or When”, “When I Fall in Love” or “The Way You Look Tonight” in my opinion. 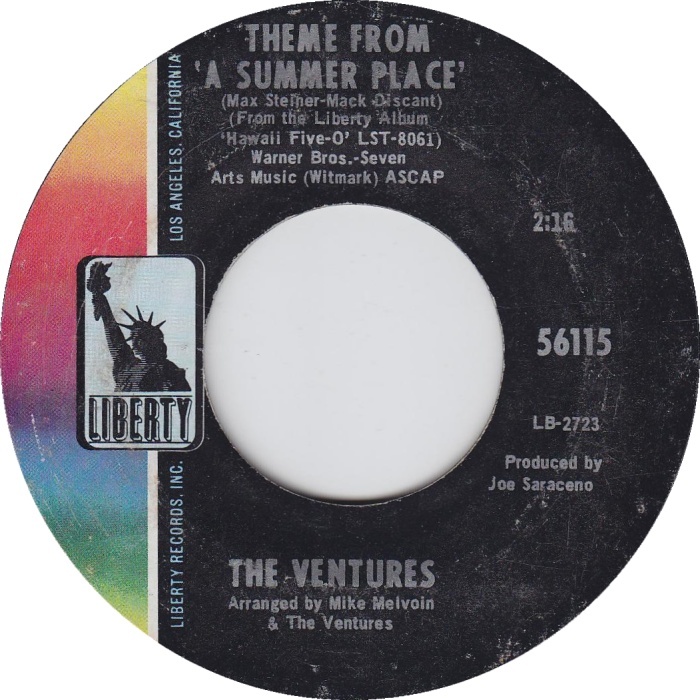 The Ventures released the song in 1969 – their last stab at a hit – but only managed to reach number 83. Interestingly the film version was an instrumental by Hugo Winterhalter and was first titled “Molly and Johnny Theme”. 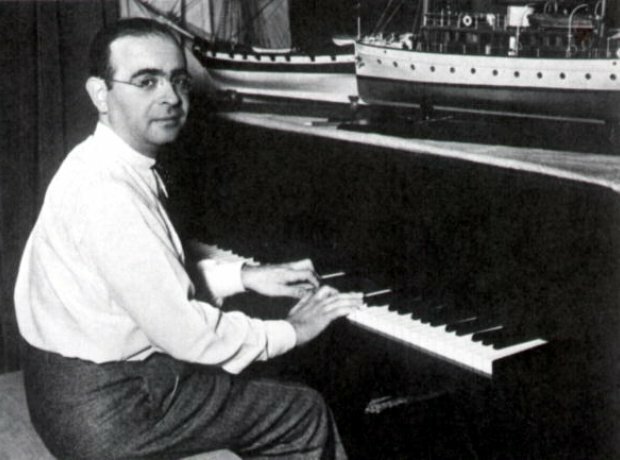 The song was penned by Max Steiner with lyrics provided by Mack Discant. 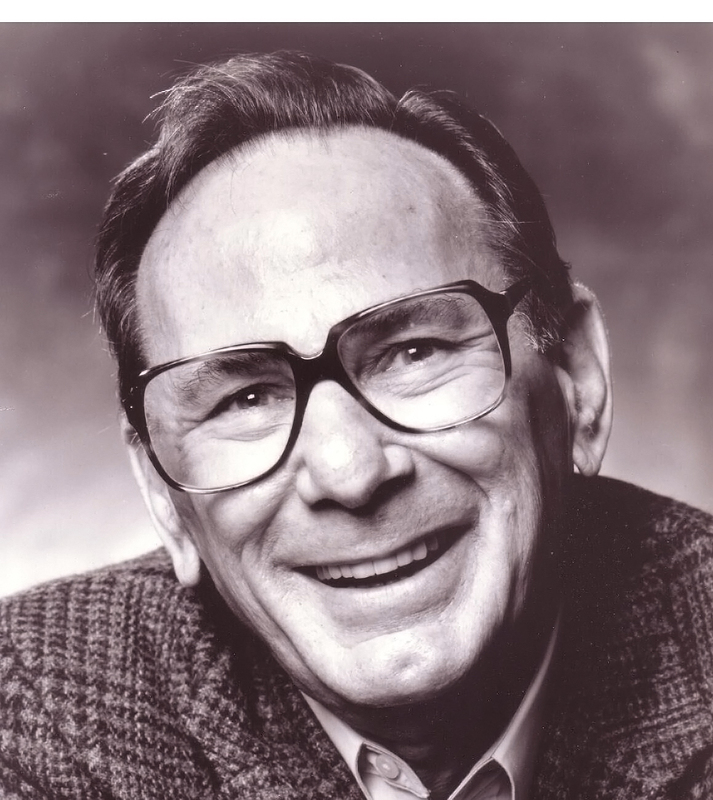 Steiner was a composer of note providing songs for Johnny Belinda, Casablanca and the Treasure of Sierra Madre and Gone with the Wind to name a few. 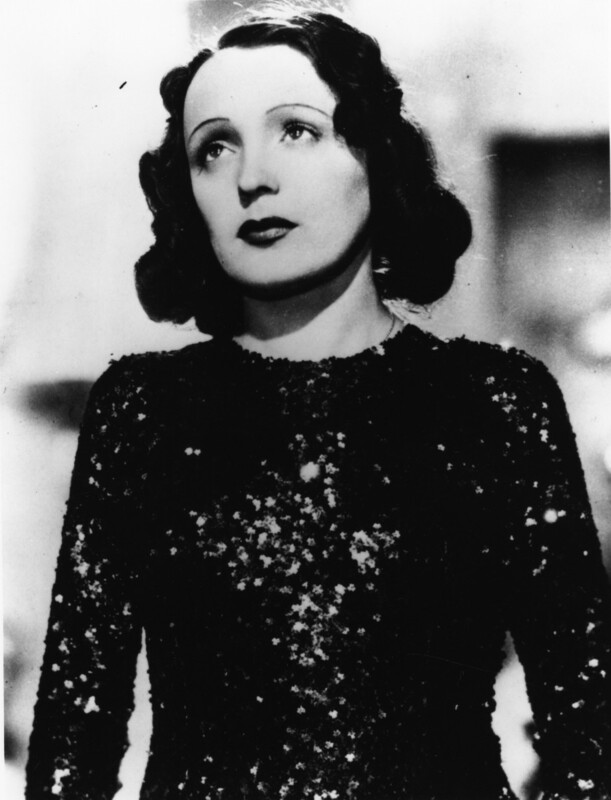 This one started off as a French original written by Marguerite Monnot with lyrics by Rene Rouzaud and recorded by – who else – Edith Piaf to much acclaim – and known as “La Goualante Du Pauvre Jean” (The Ballad of Poor John). 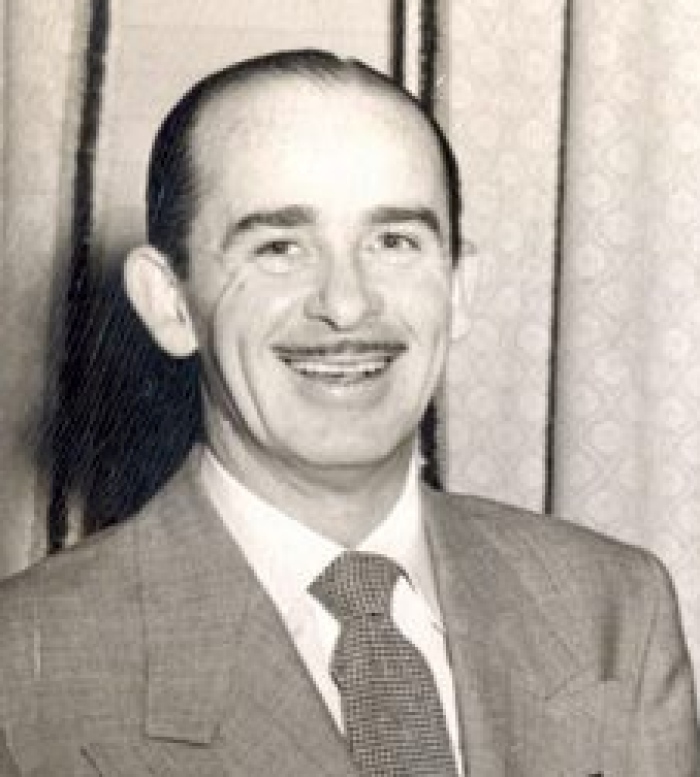 In 1954 American Jack Lawrence (below) came along and provided English lyrics – which had little in common with the French version. 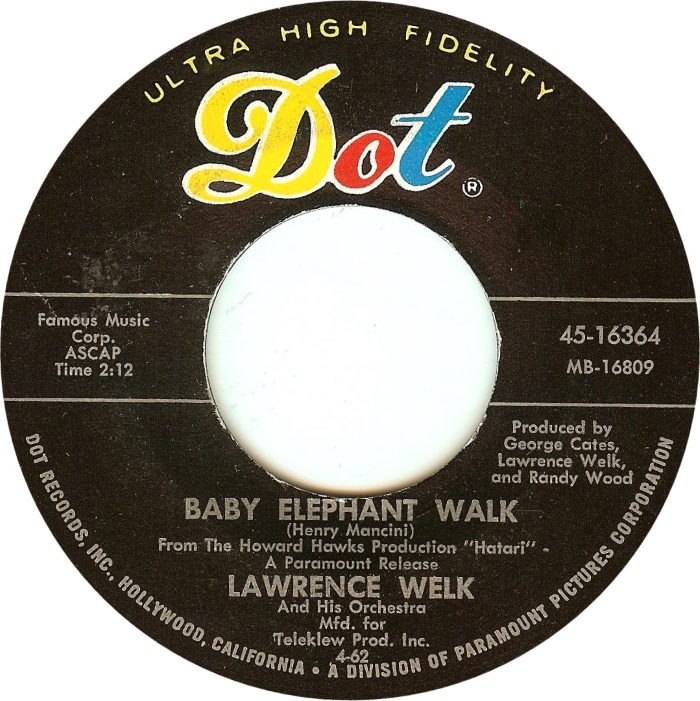 Lawrence was primarily a composer for Broadway productions and worked on “The Ziegfeld Follies” (1957), “I Had a Ball” in 1964 and many more. 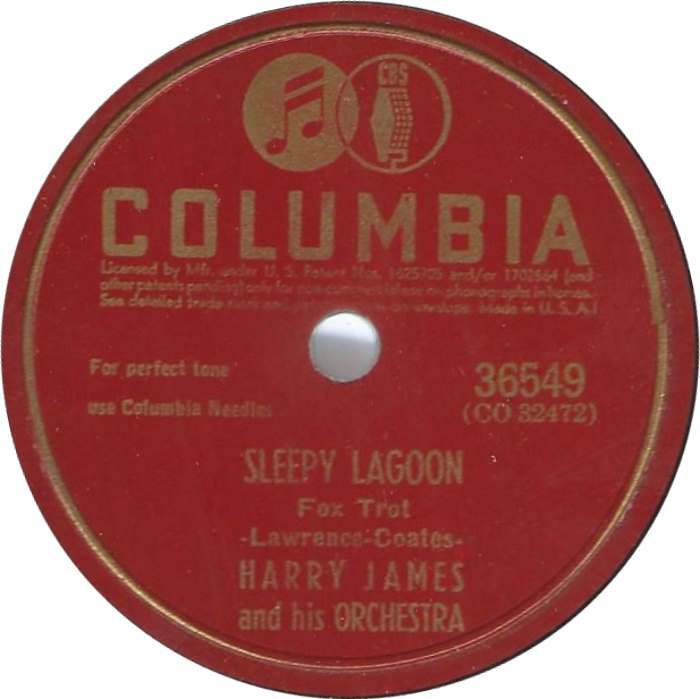 He composed “Sleepy Lagoon” which was recorded by Harry James – a number one hit in 1942 and later covered by The Platters. 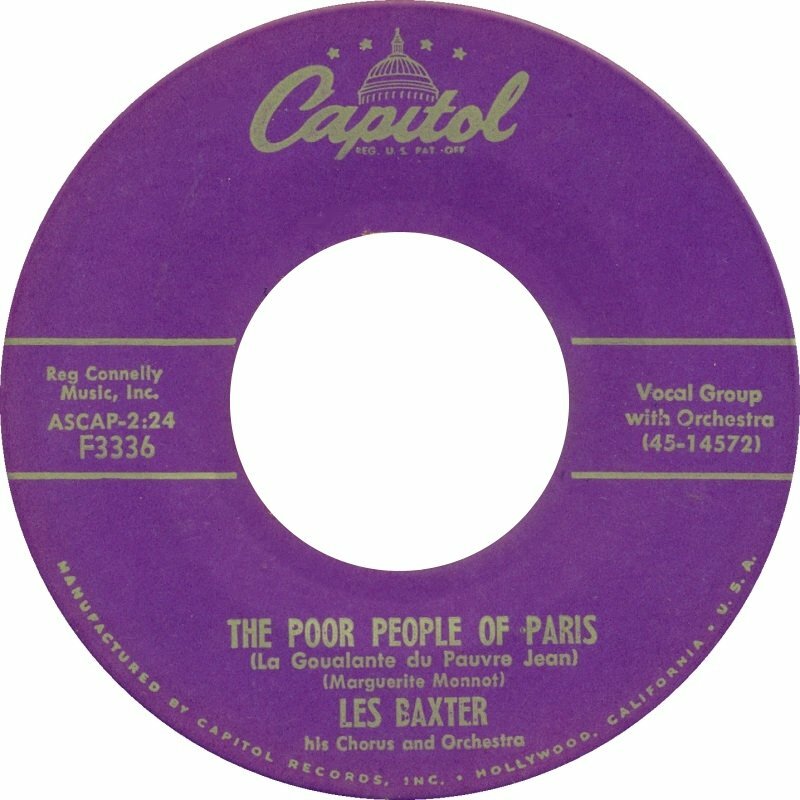 Les Baxter took the song without lyrics to the number one position on the U.S. charts in the Spring of 1956 – remaining there for six weeks before being bumped off the top spot by Elvis Presley’s “Heartbreak Hotel”. 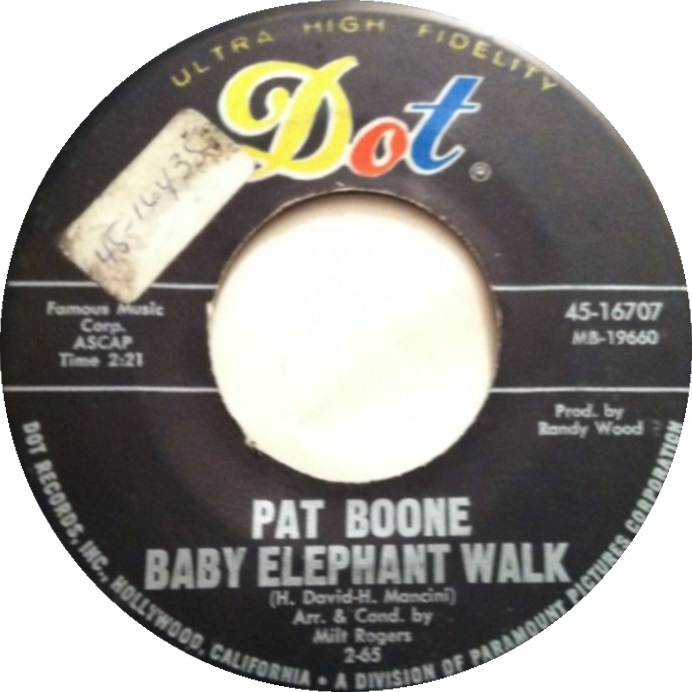 Many artists lined up to record the song including charting versions by Lawrence Welk, Russ Morgan and Chet Atkins. I remember the “Hit Parade” dancers performing to the song week after week. 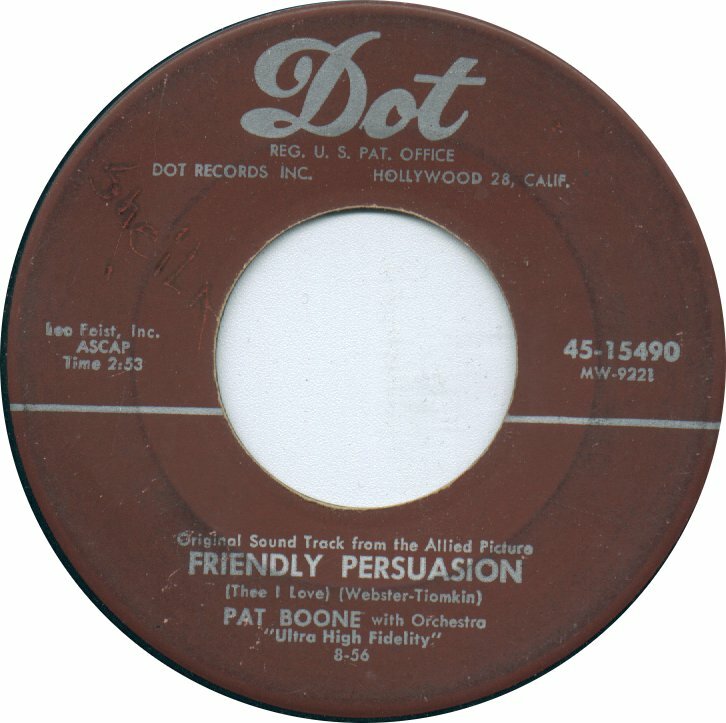 As it turns out the version featuring English lyrics was a bit of a rarity seldom heard – Bing Crosby recorded a version along with Rosemary Clooney which was released in 1965 but only on an LP. 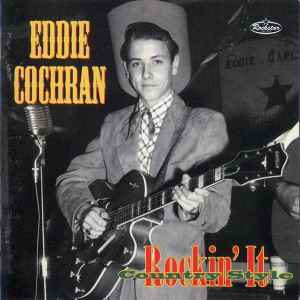 Eddie Cochran recorded a version in 1955 which finally found it’s way onto a commercial CD released in 1997 (“Rockin’ It”). “The High and the Mighty” was released as a motion picture in 1954 based on novel penned by Ernest Gann – story line being that of an airliner in distress (movie starring John Wayne). 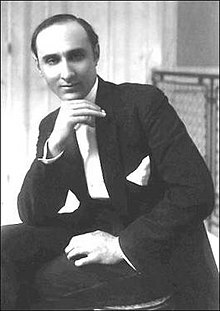 The tune was composed by Dimitri Tiomkin who provided the entire film score. Tiomkin commissioned Ned Washington to provide the lyrics. 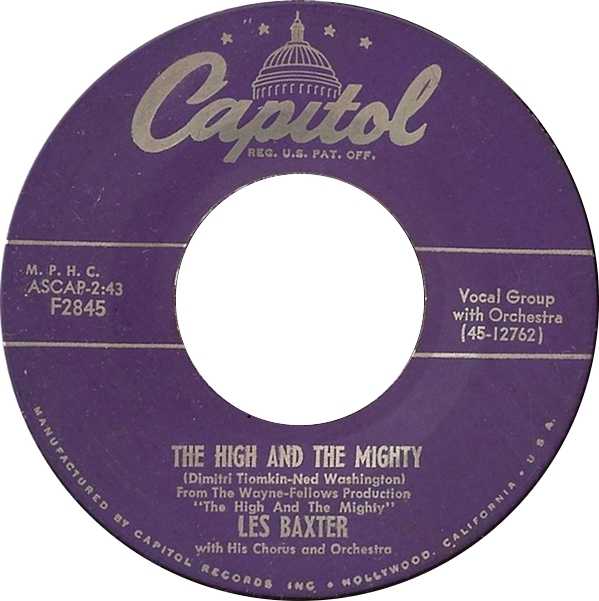 Les Baxter recorded the most popular version which could have been just fine as an instrumental but did have the support of the Les Baxter Chorus. Dimitri won an Oscar for his film score that year. 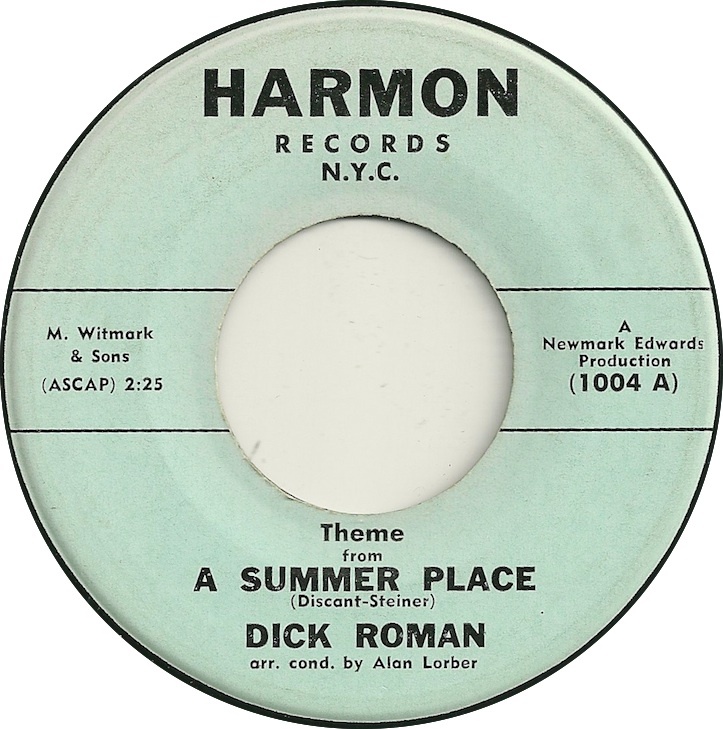 The song reached number 4 for Les Baxter and taken to number 17 by Johnny Desmond also in 1954. 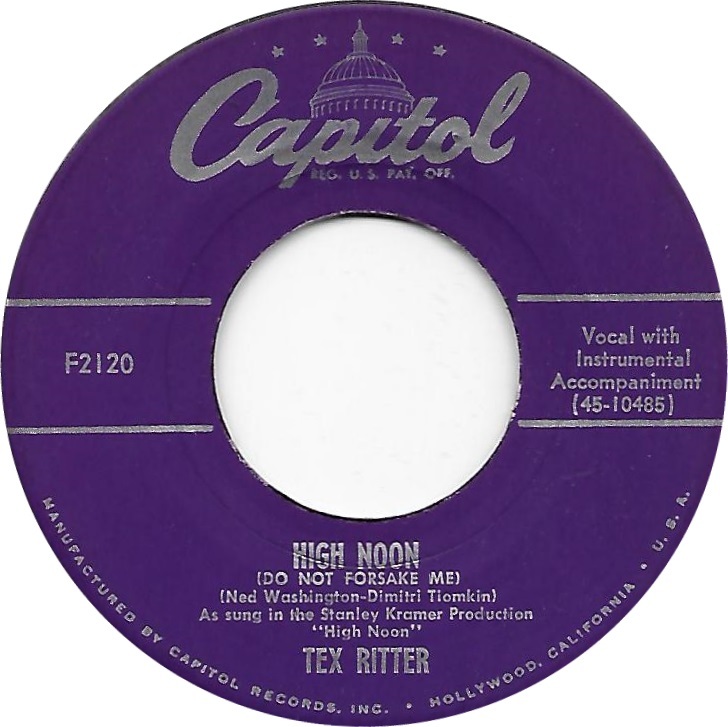 Tiomkin was known for providing the soundtrack for “High Noon” in 1952 and also was the force for music provided in “Giant”, “Duel in the Sun”, “Friendly Persuasion”, “Town Without Pity” and many others often working with Ned Washington. Yet another French composition from composer known as Louiguy in 1950 with lyrics by Jacques Larue. 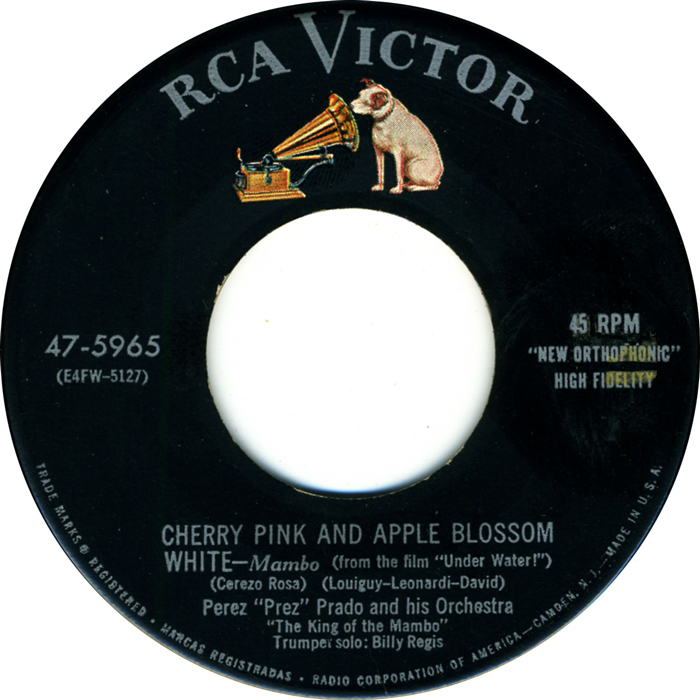 The song was known as both “Cerezo” and “Ciliegi Rosa” became “Cherry Pink” in English or “Cerisiers Roses et Pommiers Blancs” literally translated. 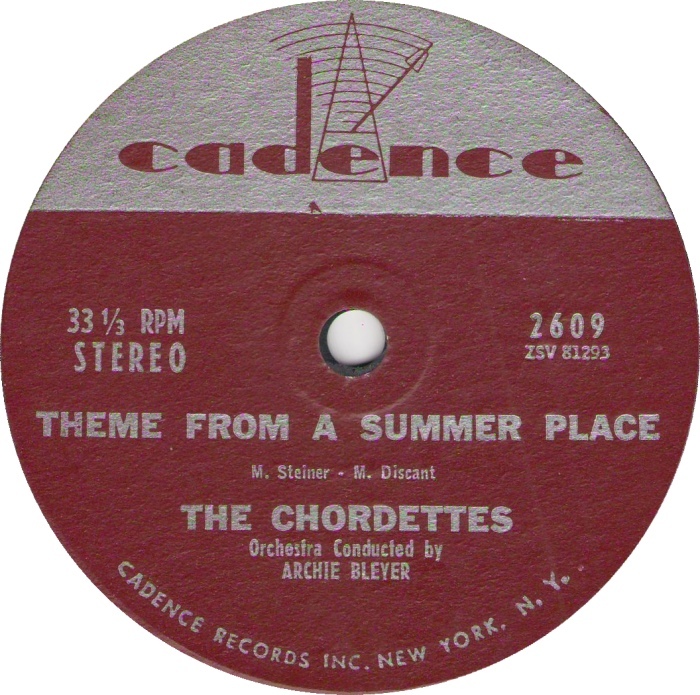 The song prevailed in the U.S. almost exclusively as an instrumental most notably the Perez Prado version in the Spring of 1955, a monster hit running 10 weeks at number 1. 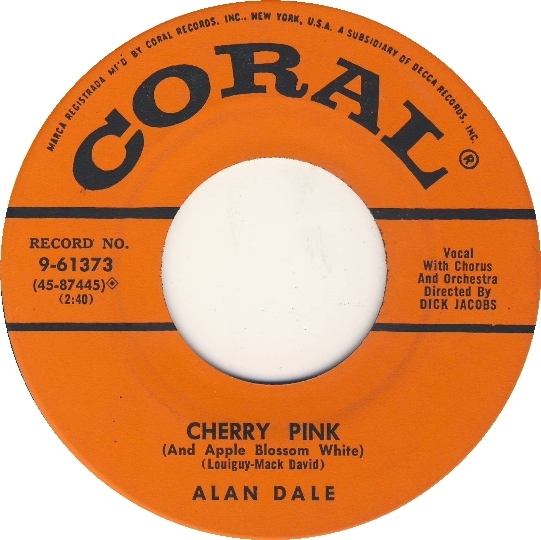 Not to my particular liking, a vocal English version was cut by Alan Dale and it did okay on the charts reaching number 14 on Billboard’s Charts. 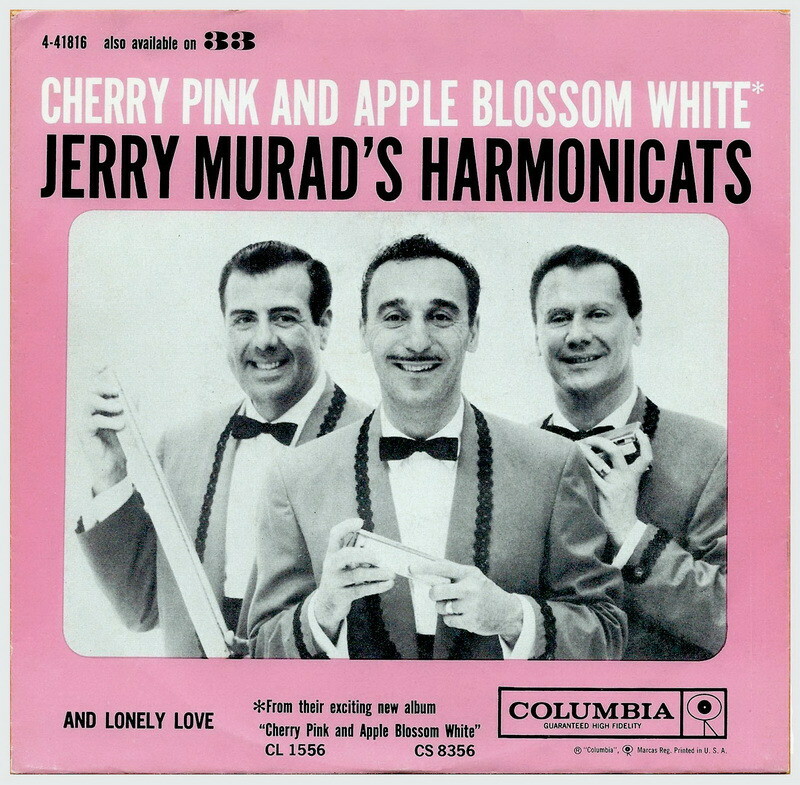 That one is seldom heard these days – I do recall Jerry Murad’s Harmonicats version later in 1960 getting some significant airplay but only charting at number 56. Mack David wrote the words for the English version. David composed several songs (with others) including Disney’s “Bibbidi-Bobbidi-Boo” from Cinderella, “A Walk on the Wild Side” from the movie of the same name, “Hush, Hush Sweet Charlotte” and the “Ballad of Cat Ballou”. Mack even landed a song popular among teens working with Burt Bacharach and Luther Dixon, “Baby It’s You” popularized by the Shirelles, and later by Smith and also recorded by the Fab Four! Now this is one that just can’t be tolerated with lyrics – aka Barry Manilow. In the beginning when Bandstand was a local show, Artie Shaw’s “High Society” was used as the theme. Next, Larry Elgart’s version was used when the program went national and into a daily format. That would be the version we Baby Boomers would identify with most readily. In 1969 a Mike Curb synthesized version was introduced titled the “Bandstand Theme”. That one ran until 1974 when it was replaced by a disco version. That one survived until 1977 at which time the vocal version by Barry Manilow was introduced again titled “Bandstand Boogie” and lifted from a 1975 Manilow long play. His ran until the affiliation with ABC ran out in 1987 – That version was never released as a single. During that time span – the program also featured a mid-show instrumental theme, Billy Preston’ “Space Race”. When Bandstand became syndicated yet another updated instrumental version was introduced. And that was that. 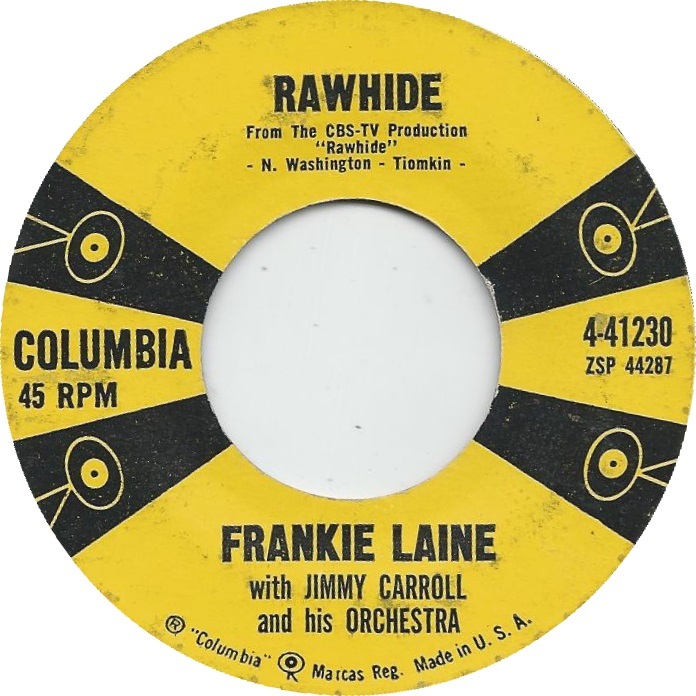 This one was composed by comedian/actor/band leader Jackie Gleason specifically to serve as the theme song for his high popular television weekly show which ran for nearly two decades beginning in 1952. 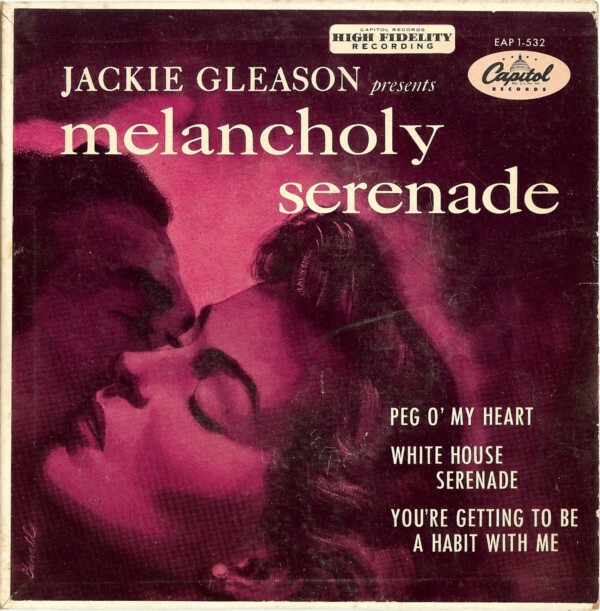 Gleason also composed the theme song from the show’s weekly segment “The Honeymooners” titled “You’re My Greatest Love” a highly popular spot in the show which took on a cult-like following of its own independent of the Gleason show. Although Gleason was richly immersed in music – fronting his own band and recording scores of extended plays and long plays, he was unable to read or write music and worked through composers who would transcribe his ideas such as Melancholy Serenade. Gleason amazed musicians he worked with when he could detect a small flaw emitted by a single musician among a group of 60-plus musicians – at which point he would stop the session to locate the source and have it corrected. 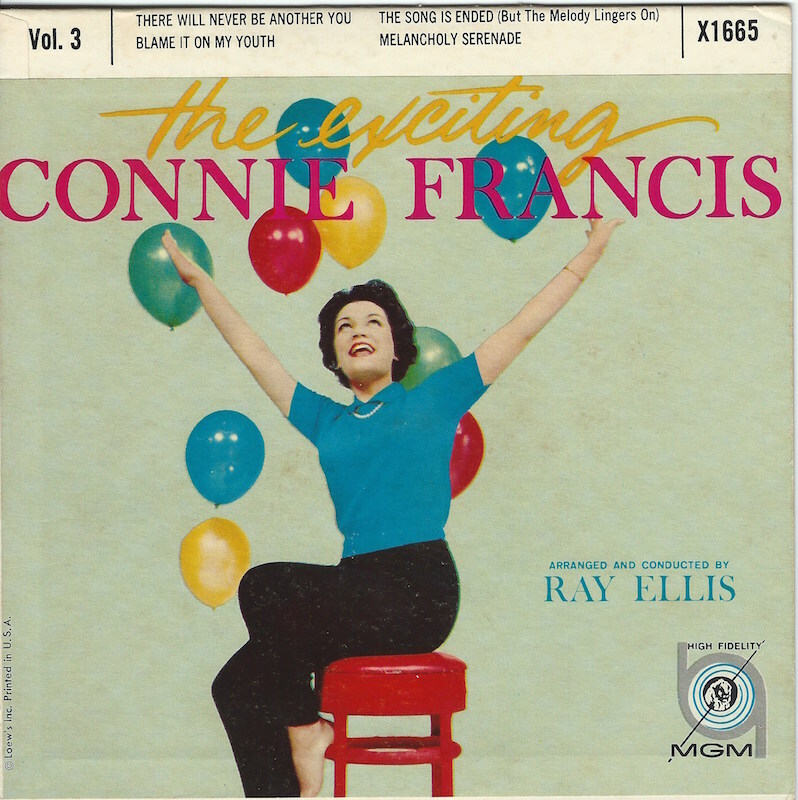 The reason for the inclusion of Melancholy Serenade here is because the tune was actually subjected to a vocal version which was recorded by Connie Francis in 1959 an included on the extended play shown below. Connie was a great talent but I would have preferred to permit the “Serenade” to live on in our memories along side of the fireworks and the June Taylor Dancers! 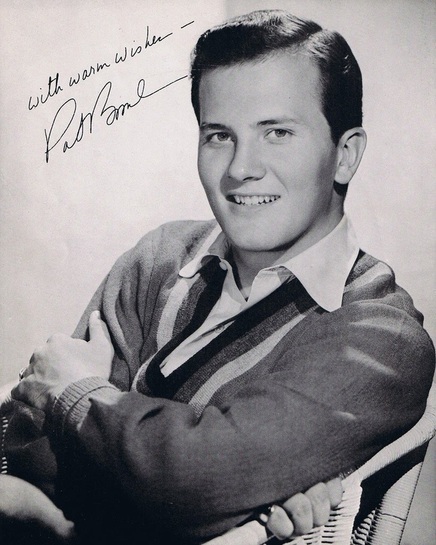 Gleason never placed a single on the Billboard Charts but did land 15 albums in the Top 200 Long Play Charts from 1956 through 1969 entering the Top 10 twice. Gleason passed away on June 24th, 1987 after battling cancer – He was 71 years old. This one would have been better left alone by the lyricists of the world. 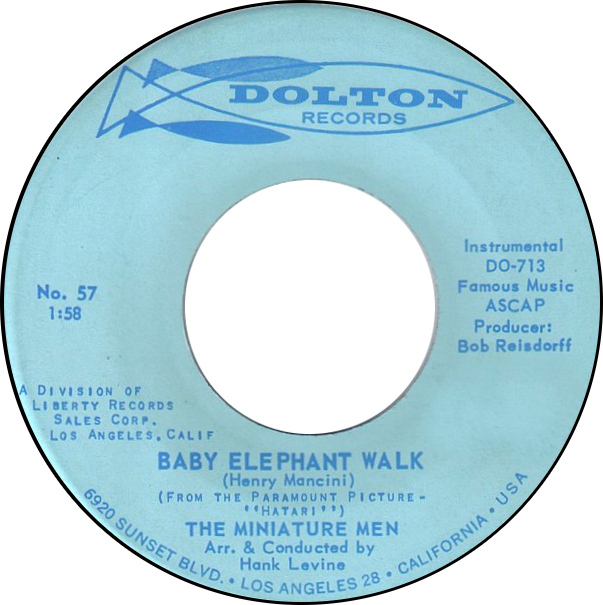 Composed originally by Henry Mancini for the film “Hatari!” the tune was a pleasant little ditty which easily conjured up the image of a baby elephant walking along.